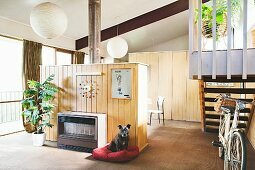 Built in 1965 on a steep block surrounded by native gum trees, the house originally sat next to a creek. It is made of Californian Redwood imported from the USA. 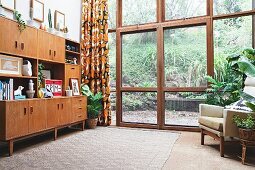 The original owner had been a salesman in California in the 1960’s and returned to Australia to build his dream home. 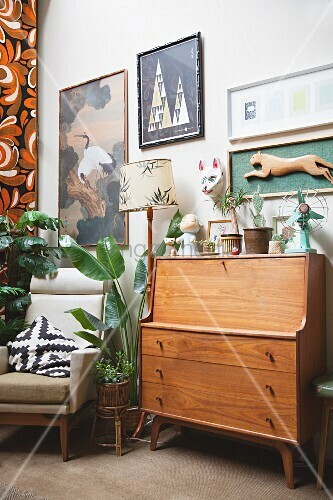 Architect Peter Hooks designed it and the current owner added retro furniture to fit the design.